Yield: Makes two 2 cup servings. This creamy soup provides a fresh taste to the palate and has a hint of mustard from the yellow rocket greens. 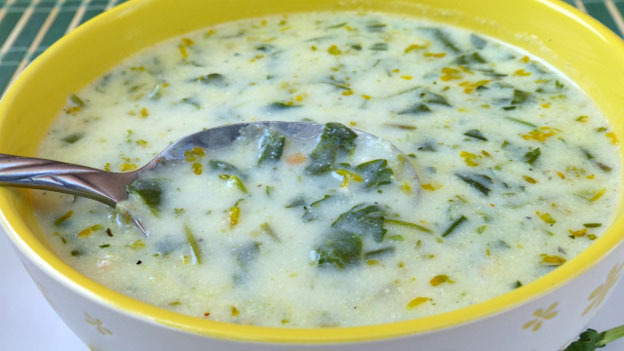 A summertime soup that can be enjoyed with your favourite crackers or bread. In a large saucepan saute onions in coconut oil. Add flour and stir until thick. Add broth and the wintercress then let simmer for 15 minutes. Add milk and spices then simmer another 5 minutes.